Miles Engineering Associates (MEA) specializes in fire protection systems design and construction administration, as well as total building fire safety evaluations and forensic investigations. We have extensive experience in design and construction administration of fire sprinkler, fire alarm, computer room clean agent, smoke removal, and flammable liquids storage and handling systems, as well as comprehensive knowledge and experience in application of NFPA Life Safety Code and ICC codes in performance of building fire safety analysis. 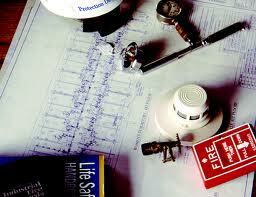 MEA was established by John Miles as a fire protection-engineering firm in May of 1999. John Miles is a registered fire protection engineer (FPE). He holds a BS engineering degree from the University of South Carolina, and has passed NCEES Fire Protection Discipline Exam.